Tropical breezes, stunning sunrises and miles of wide water views will fascinate you with the everchanging vista of the Indian River. Designed for entertaining, the 1, 935 sq. ft. covered patio, complete w/ summer kitchen will delight your friends & family. Home was extensively remodeled in 2015, including indoor air quality upgrades to meet EPA AirPlus standards, steel reinforced CBS construction, new Impact windows & doors, an elevator and all mechanicals & appliances. Casually tropical home has an open floor plan that flows out to a 73' long riverfront deck & offers 4 en-suite bedrooms plus a den/office and 6+ car garage. You will love the feeling of a Key West lifestyle complete with a private white sand beach! Walk/bike to nearby park, restaurants & shops. Florida living at its finest! 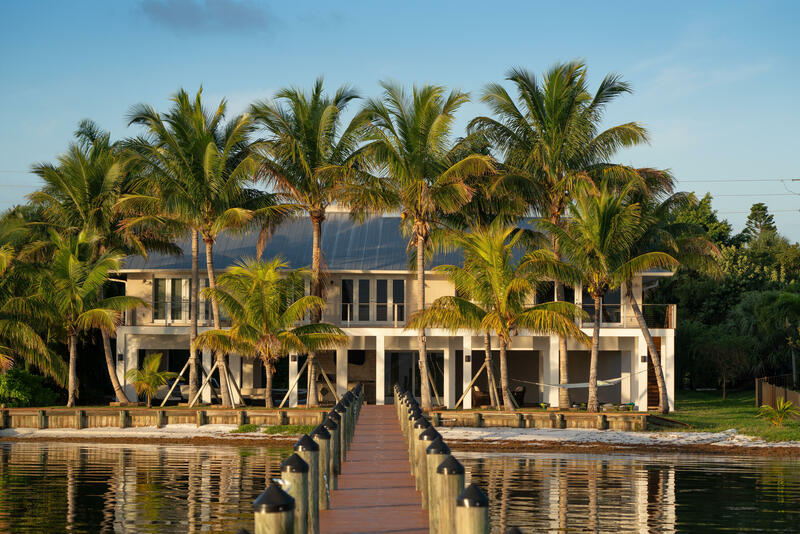 Waterfront: Intracoastal, Navigable, No Fixed Bridges, Ocean Access, River Yes 106 Ft.